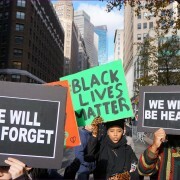 Editor’s note: This piece was written in the wake of protests in St. Louis, MO following the Jason Stockley not-guilty verdict for the 2011 killing of Anthony Lamar Smith. You may have missed it. There certainly has been plenty to distract you. Tweets, natural disasters, and broken windows, just to name a few. Let’s talk about those broken windows. Two weeks ago, my oldest son’s school had a back-to-school BBQ. A group of kids dared each other to throw a rock at a nearby house. They broke a window. One week ago, the Jason Stockley verdict was announced. People have been in the streets ever since. Some windows were broken. 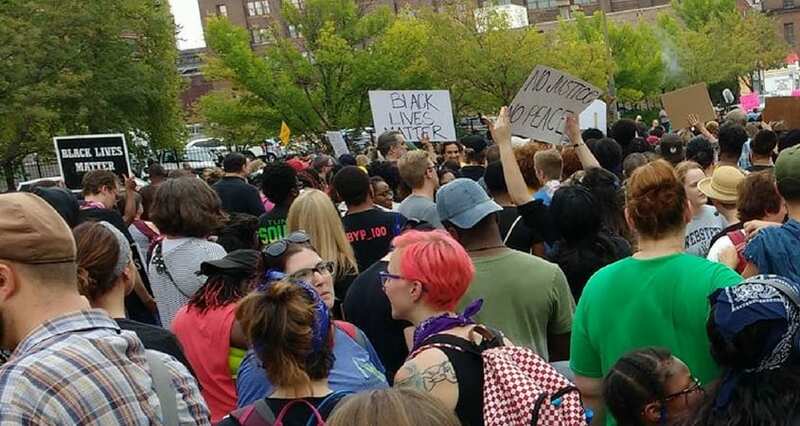 Peaceful protesters in St. Louis. Jason Stockley was proclaimed not guilty…of anything. And yet the protesters are judged every night by the public and the media as guilty. Guilty of breaking windows. Guilty of not respecting police officers. Guilty of interrupting “normal” life and canceling the U2 concert. I don’t support property damage. But property damage is not violence. And property damage is not the same as human damage. Somehow, Christianity in many Western countries has been boiled down into the need to be “nice.” As if niceness were a measure of virtue. When we confront, when we shout, when we engage in civil disobedience, this strikes us as wrong. As if it is somehow a violation of our faith. 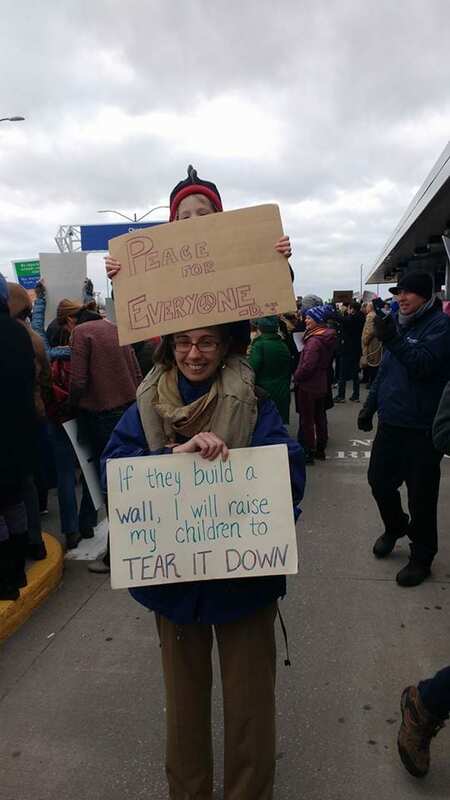 I feel that resistance myself when I am at a protest—the hesitance to raise my voice, the concern that I might sound too raw, too demanding, too out of control. Jesus was not afraid to confront injustice. Jesus turned over the tables of the money changers in the temple. Jesus called the Pharisees—the faith leaders of his day—hypocrites and fools. Jesus disobeyed laws regarding the Sabbath, and he scoffed at those who told him he should have followed the rules. Love conquers blind obedience. Justice trumps self-righteousness. Talking to my kids about race is not always easy. It doesn’t come naturally, and I have to force myself into the conversations. I was raised to be colorblind—a virtuous idea that has, at its foundation, a beautiful ideal of equality and acceptance. But to be colorblind is to deny that race plays a role in our interactions. That black men receive 60% longer sentences than white men convicted of the same crime. That black girls are 7 times more likely to be suspended than white girls, and they are viewed as less innocent by age 5. That black women are 3 times more likely to die in childbirth than white women. Studies show that children as young as 5 consider race an important distinction, even when no one has discussed it with them. Messages that all people are the same are not enough to prevent white kids from exhibiting stronger racial biases than children of other groups. When we don’t talk about race with our kids, they develop their own opinions based on their observations of an often inequitable and segregated world in which we live. My children have white privilege. Am I trying to make them feel guilty about it? No. But they tell me all the time about the tragedies in their life that aren’t fair. I want them to know, and to remember, that it is not fair that they are already benefiting from racism and white privilege. 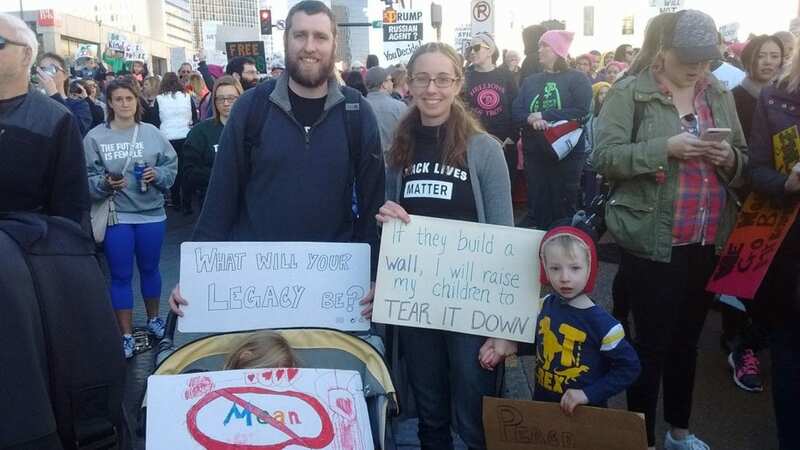 The author protests with her family. After my son’s BBQ, no one said the BBQ had “turned violent.” No one told us that we need to stop these violent BBQs. White people are given the benefit of the doubt, whether it’s a broken window or a riot after a sports championship. Black people are condemned, even when the protest is non-violent and the protesters show up the next day to clean up and replace the broken glass. Even when the rage that broke the window stems from a huge well of injustice. Broken windows and a cancelled concert have sparked more outrage than dead bodies lying in the streets. Our justice system has now said that you can proclaim your intent to murder a black man, walk up to his window and shoot him, and then be proclaimed “not guilty.” That is not justice. We should be more upset about this unjust system than we are about some broken windows. A movement is happening in St. Louis. Some of our Catholic churches are ready to join. Justice will come when we raise our children to understand that they should not accept injustice, either. When we all join the movement. Justice and Peace are two sides of the same coin. Racial Justice is the need of the hour worldwide.